From State Road 60 go to Parsons Ave, North on Parsons for 2 3/4 miles. The office will be on the left side of the street. From I75 take Dr. Martin Luther King Jr. Blvd. East to Parsons Ave, go South on Parsons 1/ 4 mile the office will be located on the right side of the street. The Valrico Social Security office is located in Valrico 33594. The following page includes information for this location like the office phone number, hours of operation and driving directions. If you have any interests or comments about your retirement benefits or are interested in making an appointment, call the following Valrico Social Security office. The Valrico Social Security office is located in Valrico 33594. The following page has information for this location like the office phone number, hours of operation and driving directions. 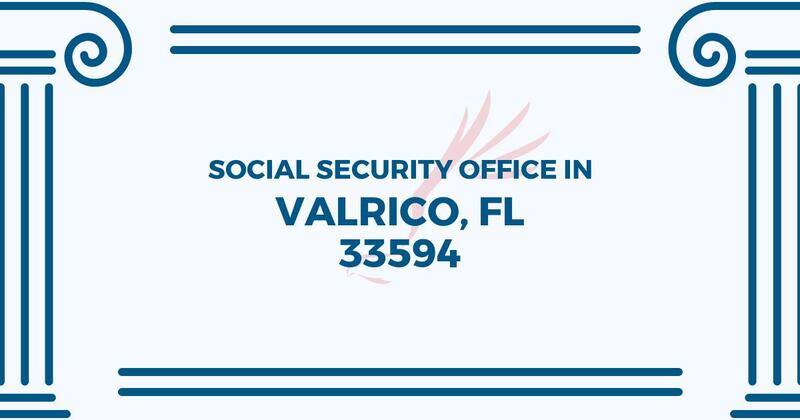 If you have any questions or issues about your retirement benefits or are interested in making an appointment, call the following Valrico Social Security office.